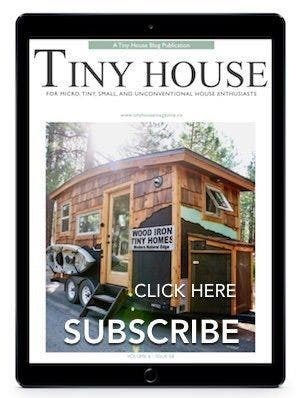 My daughter and I are relatively new to the tiny house market and just came across your blog and magazine. We moved to the Asheville, NC area three years ago to be close to my parents after several recent family tragedies. We purchased two small, but not tiny homes (850 sq ft and 750 sq ft), and remodeled them. Mine was a practically a total rebuild, as it was a 1940 asbestos-clad home in shambles. That experience taught us that building was a passion, so we took the next step and converted a 369 sq ft open garage (basically a concrete floor and three cinder block walls) on my property into a studio apartment. 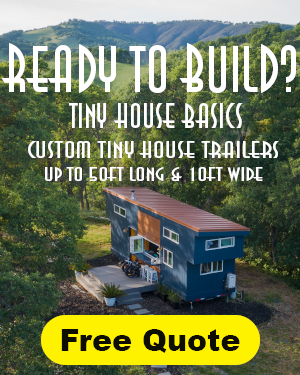 We really wanted to start a THOW business but realized our financial situation would make it too challenging at this point to compete with somewhat standard larger tiny house organizations who had staff and resources to build much more quickly and efficiently. 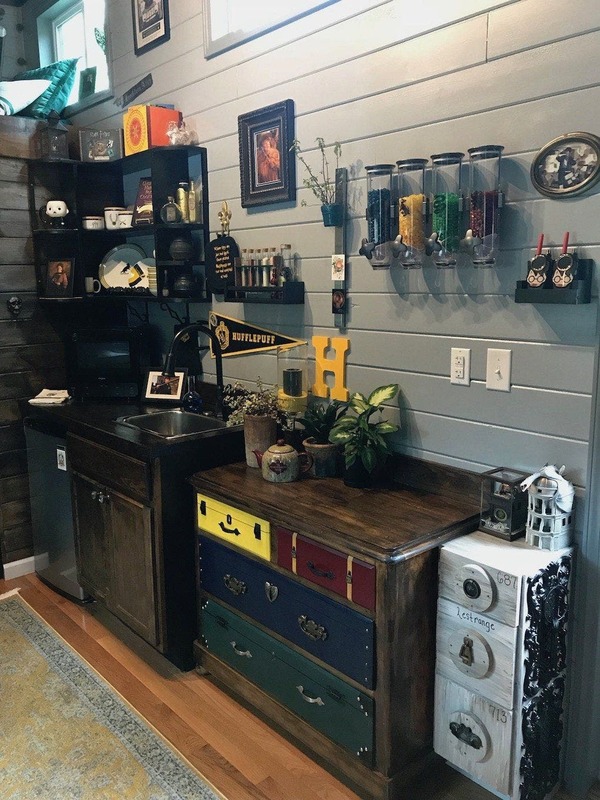 However, we saw a unique market that was not being addressed, and the tiny house movement seemed extremely well-suited to serving this market — fantasy-themed homes. We designed several THOW homes and decided to risk it all to build one this year. We started with a theme about which we were most passionate: Harry Potter. With an extraordinary fan-base of millions, and with our intimate knowledge and love for the books, this seemed the perfect test home for our new business. We have just completed the project. 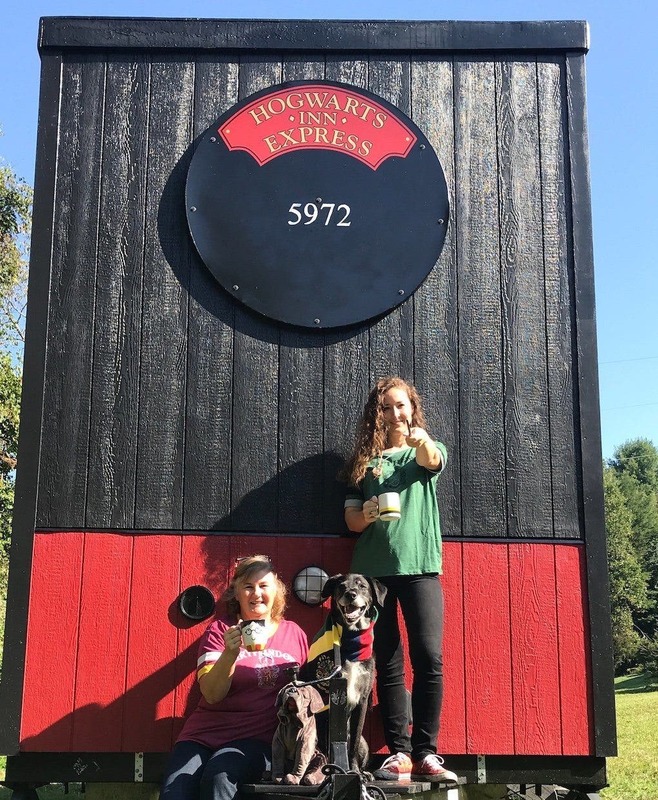 It is called The Hogwarts Inn Express, a Muggle Motel, and is on a 24′ trailer. The house is totally Harry Potter and comes fully furnished and decorated. 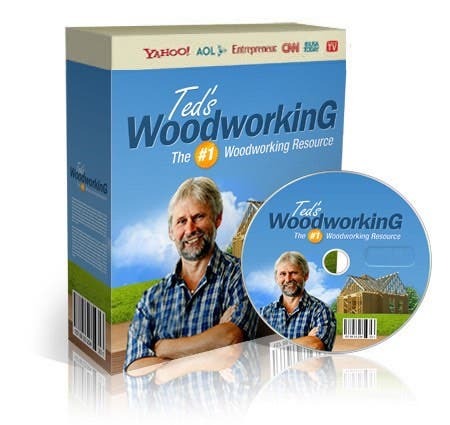 There are over 100 licensed products, as well as many many handmade items. The design is based on including each of the four ‘Houses’ of Hogwarts, and the main elements of the books throughout. We have included a relatively large bathroom with a standard shower and vanity. Because we didn’t know if the new owner would want a composting toilet, or to plumb for a standard toilet, we have left that one item out, for now. The kitchen includes a sink, fridge, mini-microwave, and portable cookout. We would consider including a convection/microwave, although based on the size, we felt it would diminish the Hufflepuff kitchen look. There is a Gryffindor living room with a convertible sofa and small chair, Roku smart tv, echo dot, trunk-style coffee table and fireplace mantle (no real fireplace) with shelving. 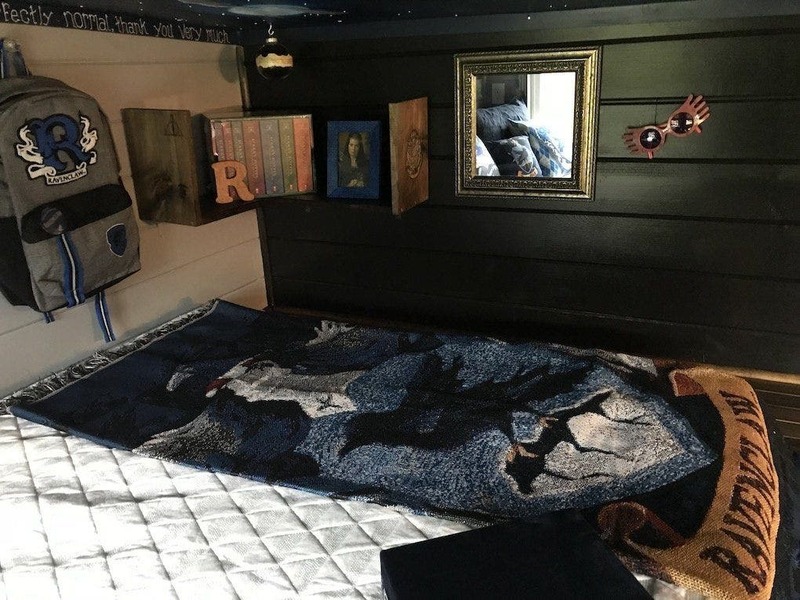 For sleeping, there is a Ravenclaw loft, which serves as the master and has a double-size 5″ memory foam mattress, and is accessible by a small bunk-style ladder. A smaller loft is located over the bathroom and features a small twin mattress. 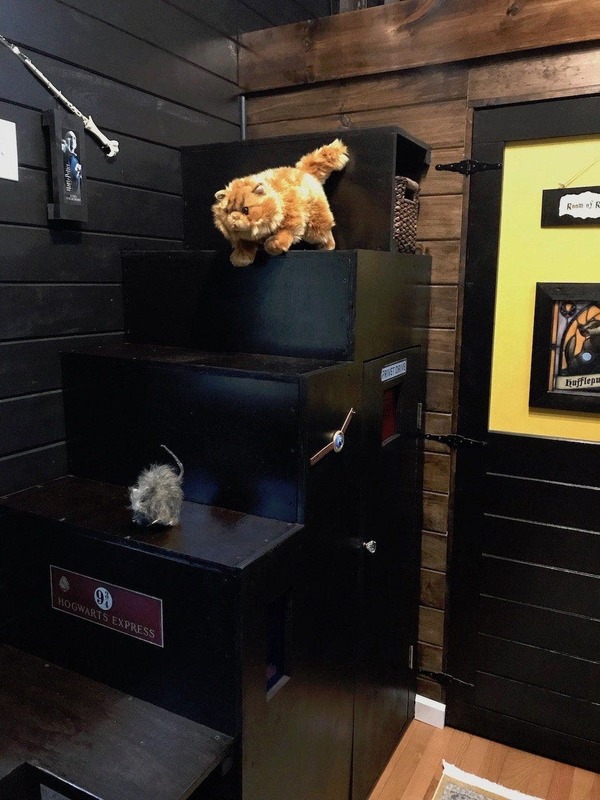 It is accessible by steps, which help create the ‘Cupboard Under the Stairs,’ a tiny cubby that could be an excellent tiny house closet; although we love it as a mini private reading nook. The trailer is RV-compliant, with double 7,000-lb capacity axels, emergency break-away kit, brake lights, and safety chain. The roof is covered with EPDM liquid rubber. There are seven tempered double-pane windows, a ClimateRight 10,000 btu portable heat and air unit, closed cell insulation, an ERV for continuous fresh air, 125-amp electric panel and on-demand Eco-smart water heater. In construction, we were diligent about making the house solid and sturdy. In working around the wheel wells, we ended up including even more structural support than the typical 16″ on center stud placement, with additional king studs and jack studs for windows and the door. The trailer came with built-in rods for bolting the house down, but we added Simpson strong-ties for added strength. The exterior features 1/2″ sheathing, Tyvek house wrap, Mortairvent 1/4″ rain screen with bug screen attached across the top and bottom, and LP Smartside panel siding. The corner trim is l-shaped solid pieces for sealed corners. In addition to being a fully-functioning home, there is so much fantasy and joy in the decor of the house. 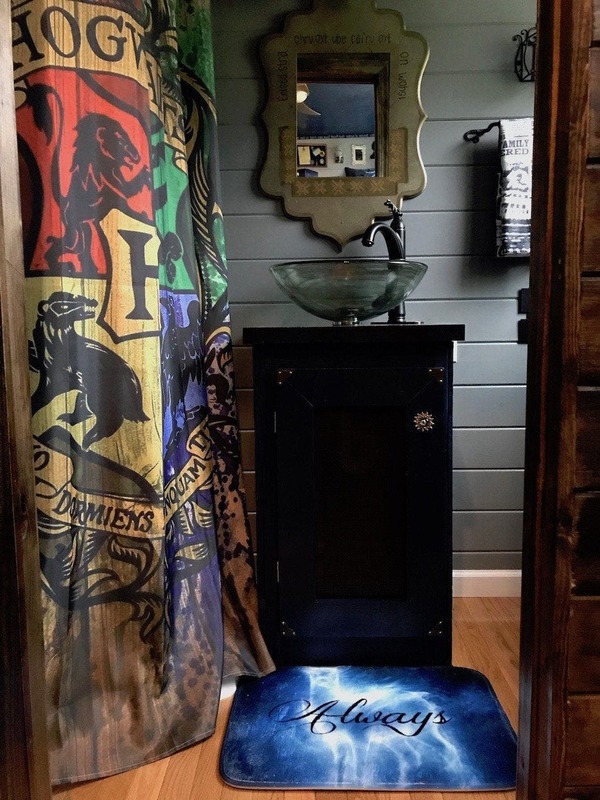 We’re in love with it, but hope it will be purchased by another die-hard Harry Potter fan, who dreams of living in Hogwarts! The price is only $89,000, and it comes with everything shown. 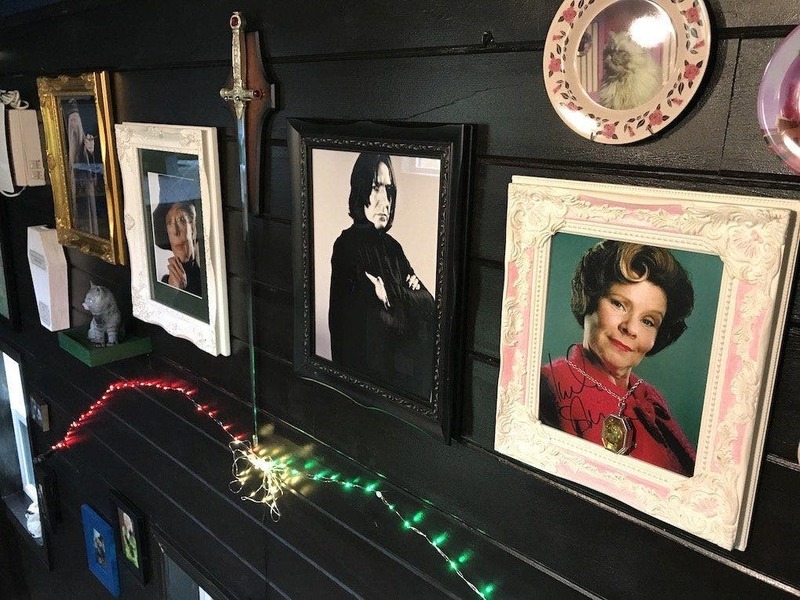 We have researched long and hard, and have not found a single other totally Harry Potter house on the market in the U.S.
We are so anxious to ensure that our business venture can continue, and to begin the next fantasy. Upcoming homes we have designed include a Star Wars theme, Black Panther, college tailgate fan-caves and two more Harry Potter houses. 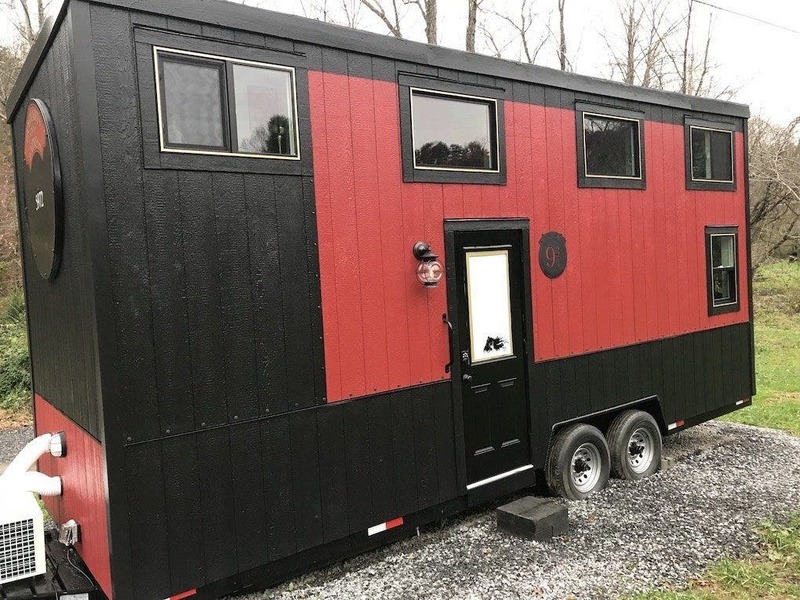 For the record, while tiny homes on wheels in our county are not inspected or permitted to ensure proper building compliance, we did permit and pass all of our inspections on the remodel of my home, and the build for the studio apartment. In building this home, we took every precaution to maintain the same high building standards that the county requires of houses. At this time, we do not meet the financial requirements for becoming licensed contractors here, but it is our goal to have this license by the end of this year. Thank you for any advice, and thank you so much for considering sharing our story to help us to make our dream a reality! 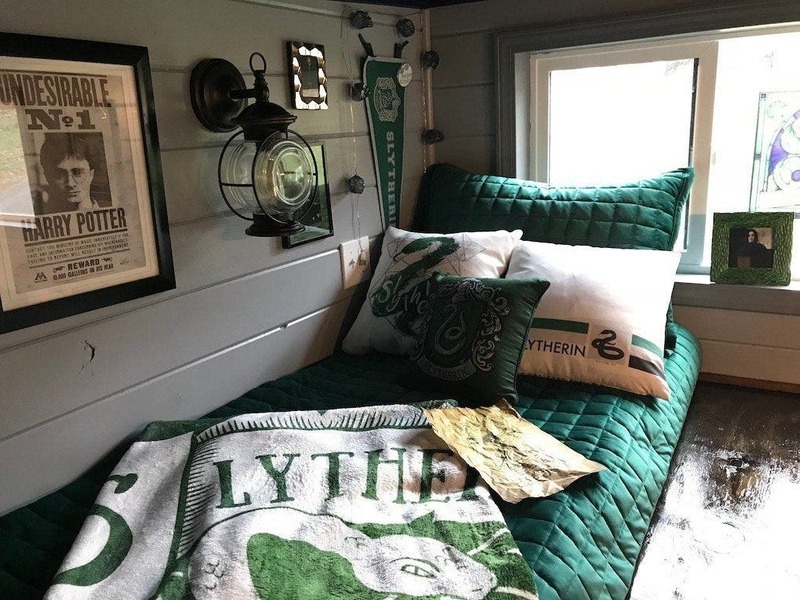 WOW some Potter fan will love it! 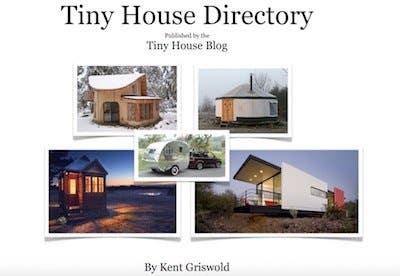 My only suggestion if you have issues selling the themed houses, why nt sell smaller and simple tiny houses at much smaller prices, as a way to get started? My friends who are interested in tiny house are interested because they are poor! 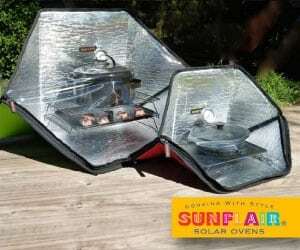 They are looking to live off the grid simply, and yes, cheaply. 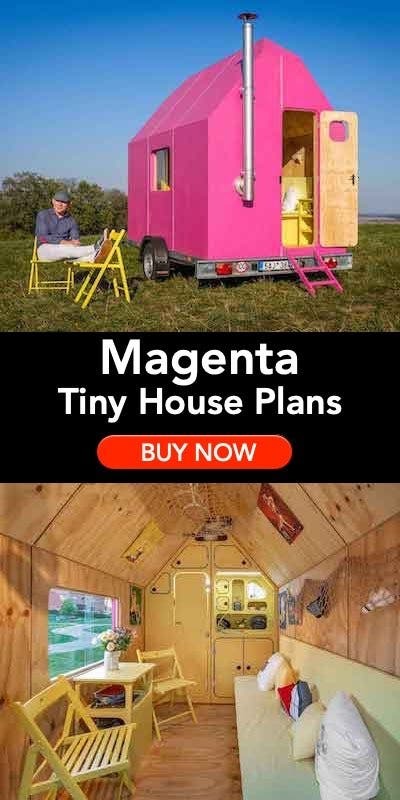 A builder of plain tiny houses people can afford would have a market! Then with the profits you could build more themed houses? 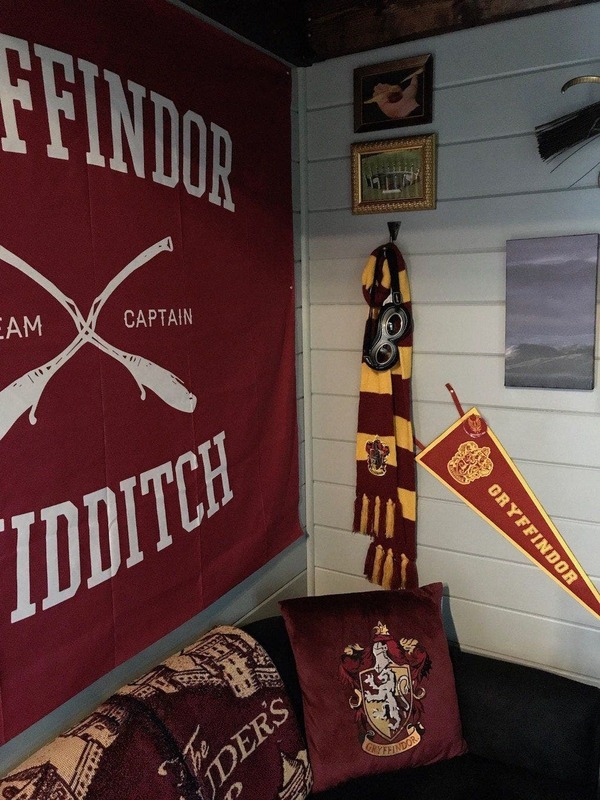 The Potter house is adorable… love it. Best of luck in you mom/daughter venture!